Johann is the 10th great-grandfather of Richard, James, Gary, Mark and Mike. Johann Karg was born January 7, 1525, to shoemaker Michael and Felicitas (maiden name unknown) Karg in Augsburg, Bavaria. An accomplished student at school, Johann was awarded a scholarship by Augsburg’s mayor Wolfgang Rehlinger to the University of Tübingen, where he earned the degree of Master of Arts in February 1542. On December 21, 1542, Johann entered the school of theology at the University of Wittenberg, where he attended the lectures of Martin Luther, Philipp Melanchthon, Caspar Cruciger the Elder and Johannes Bugenhagen. Johann participated in the funeral of Martin Luther in the Wittenberg Castle Church in February 1546. Johann was appointed Deacon of the Cathedral of Our Lady in Augsburg in July 1546, the Deacon at St. George’s Collegiate Church in Tübingen in 1552, and Superintendent of the Abbey at Blaubeuren in 1556. In November 1557, Johann married Sarah Buck (c1534-1613) in Blaubeuren. The following year, Johann was appointed Superintendent of the Abbey at Cannstatt, then, in 1559, commissioned by the Duke of Württemberg as Court Chaplain in Stuttgart with a seat on the Württemberg Council. 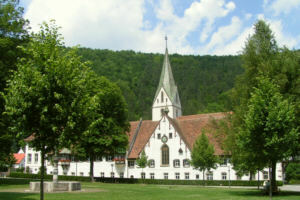 Johann assumed the prelature of the monastery at Hirsau in 1569. In addition to the management of the monstery and its school as Abbot, Johannes authored a number of textbooks and other theological writings and a hymnal under the Latin translation of his name, Johannes Parsimonius. 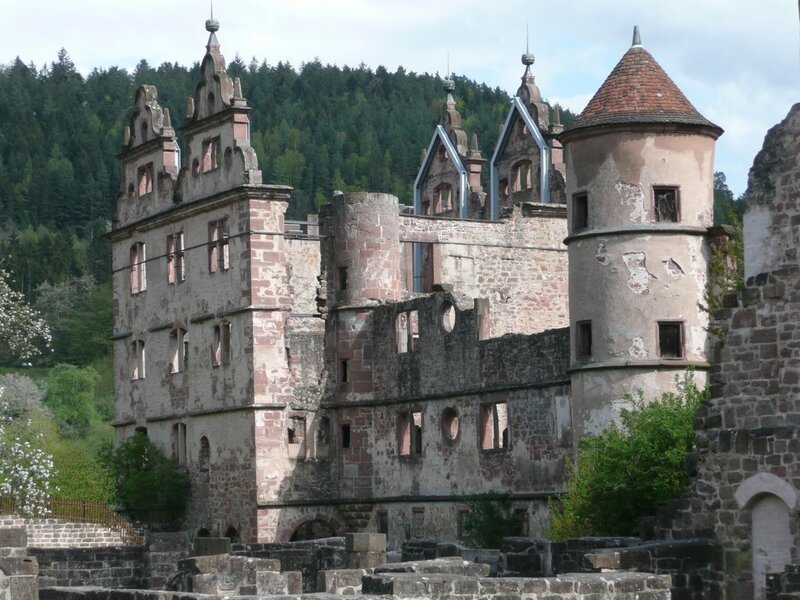 Johann’s and Sarah’s only known child, Judith (our ancestor), was born at Hirsau on January 5, 1576. Judith married Johann Wilhelm Gmelin in Calw, Württemberg, on January 09, 1600. 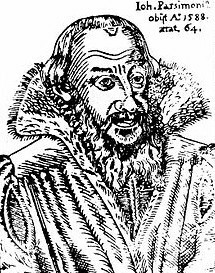 Johann Karg died at Hirsau on December 24, 1588.